Haldania is a mythical ship portraying the destiny of a quite real young married couple, Hal and Dani. The painting was presented at their wedding, November of the year 2009. 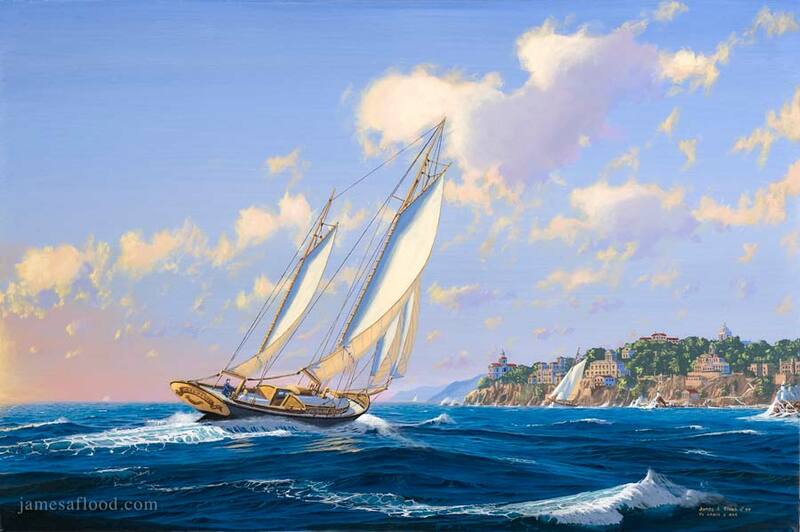 Chased by the setting Mediterranean sun, the couple sail into port. This evening they will rest and celebrate. Tomorrow they will embark on life's great journey together.